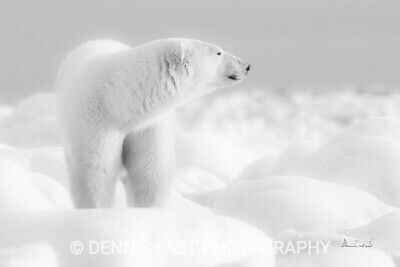 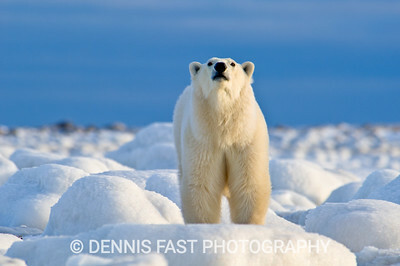 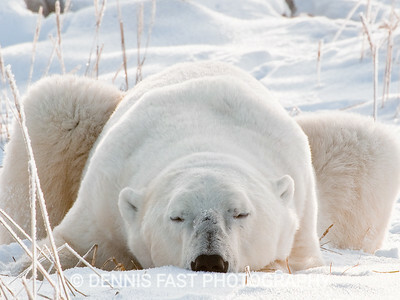 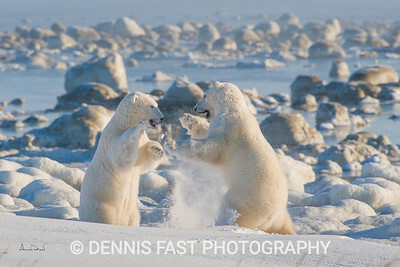 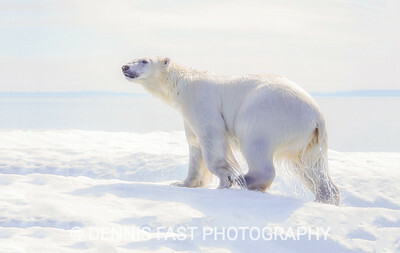 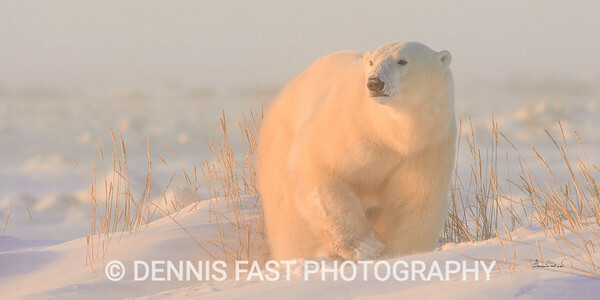 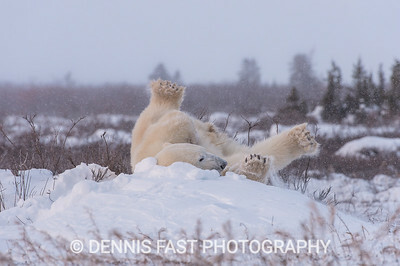 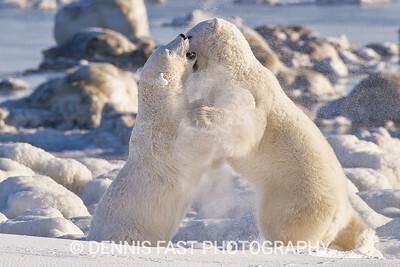 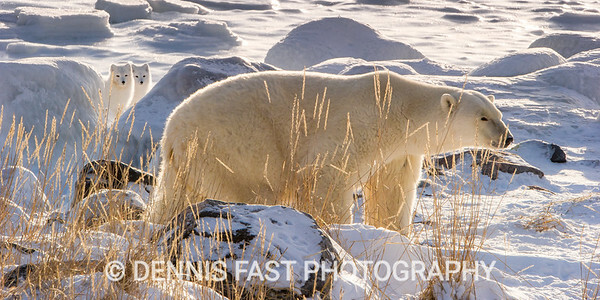 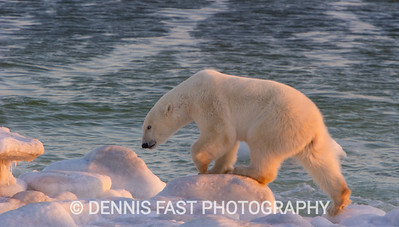 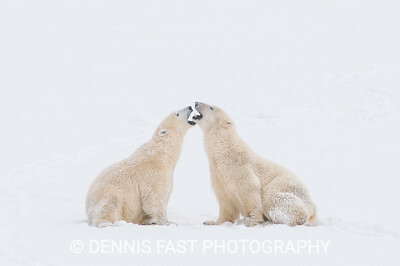 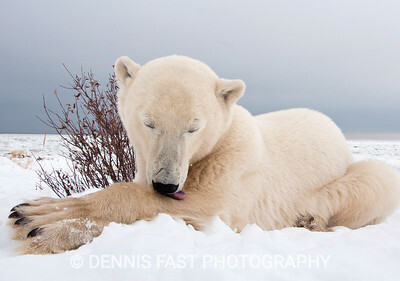 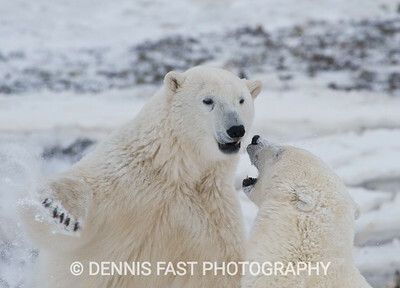 Polar bears have become icons of the Arctic. 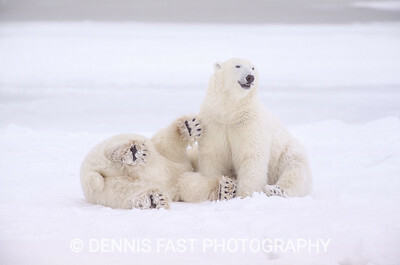 Their seemingly gentle demeanour and relaxed style makes them everyone's favourite bear. 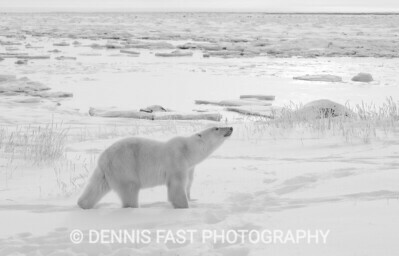 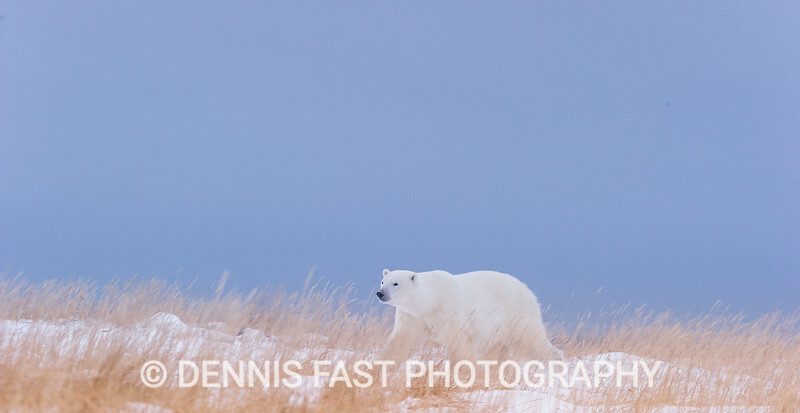 Arctic Fox (Vulpes lagopus) and Polar Bear (Ursus maritimus) on Hudson Bay near Churchill, MB, Canada. 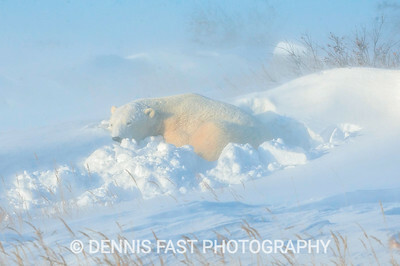 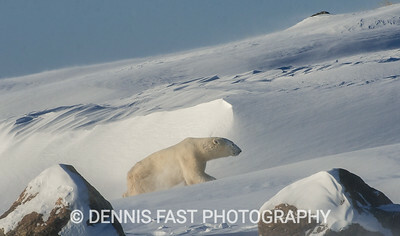 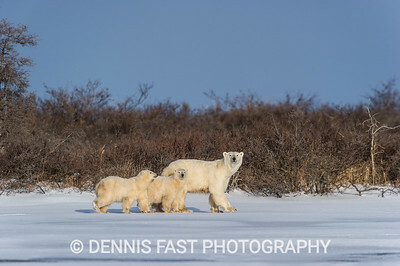 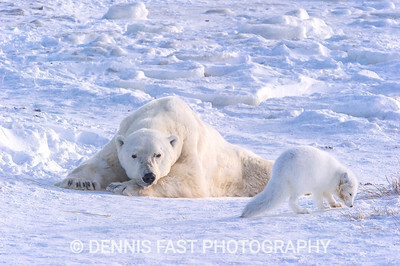 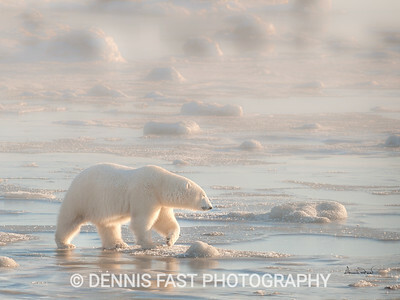 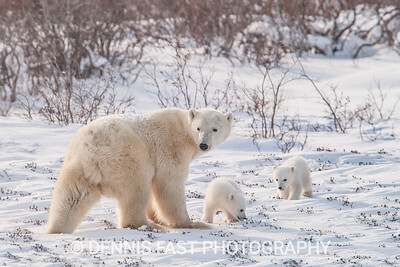 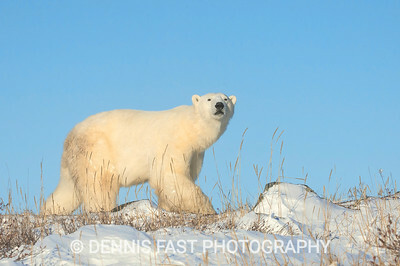 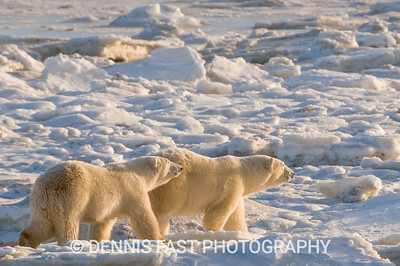 Polar bear mother and cubs (COY) exploring the tundra after first emerging from their den.